Relationships…When they are healthy and balanced, they can be life-giving and energizing. A supportive relationship, founded in love, whether it is romantic or friendship based, can offer an invigorating level of companionship and life-long support. In a balanced relationship, energy and is given back and forth, and grows — uplifting both people into their highest creativity. However, when supportive relationships lose their balance, the opposite energy flow occurs; each person feels short of energy and thus begins to try and force energy their way with criticism and control dramas. We all have experienced the feeling of weariness that comes when interpersonal hostility develops. The solution is always the same. Each person must find their own inner source of security and inspiration, and then become fully conscious of when this Connection is lost. 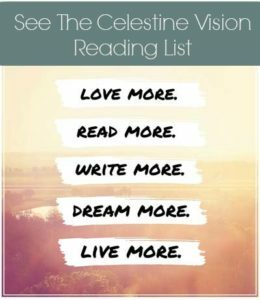 This topic of how to do this arises on www.celestinevision.com regularly. I would like to share an article by John Gottman addressing the “Four Horsemen,” or symptoms, of unhealthy interaction in a relationship and some tips to returning to mutual support. The author of this article speaks first of criticism. When we go into a conversation or potential disagreement with the intention of being “right,” the outcome is likely going to be unpleasant. Criticism is always to an attempt to dominate the relationship and feel in control. But, as the article states, “There is a difference between providing critical feedback (OK) and being critical (not OK.)” The difference is whether your comments are intended to be loving and helpful or whether it is to achieve a sense of power over the other person. A person’s “sense of self” is one of their most valuable possessions. When people sense a “put down” in your comments, they will usually respond with a an equally insulting reply. Using insults that denounce someone’s character will get you nowhere in resolving an issue. Take a moment to become aware of your frustration and anger. And even retreat until your emotions are under control. Hurtful words we speak can linger in another’s mind, impeding the possibility for reconciliation and causing more long-term damage. Wait until you can give loving energy to the other and phrase your concerns in a genuinely helpful way. 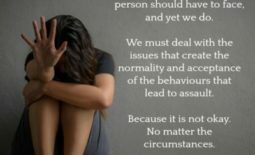 Often, during a disagreement, we feel as if we have been backed into a corner. It is then a natural instinct to defend our position instead of looking for a compromise resolution. Most disagreements are about who will decide what to do as a couple, even if you are just friends. At first, it may be necessary to agree to alternate being the one who decides a course of action. In other words, just take turns being in control. But ideally, after a discussion, you both should be about to discern intuitively who has the better idea. The more you can be objective and self secure, without needing to control, the more you can choose which one of you should lead at any given time. The article defines this term as a “withdrawing from the relationship as a way to avoid conflict.” It is a way to pout and win by waiting the other person out. Although stepping away to regain inner energy and insight can be helpful, stonewalling is considered harmful to the relationship. Gently point out to each other that it is important to keep talking until the issue is resolved. Make a deal with the other person never to walk out, or go to bed, angry. Unrest within relationships can make it difficult to stay connected spiritually and thus grounded in an inner security. Our perception becomes clouded, and we tend to seek our security from our relationships by controlling. Just remember that we all have a spiritual download of Peace, Calm, and Inspiration (to do something with our lives) waiting for us. Power struggles are a waste. Once we find our inspired path, we can speak our truths in a loving and helpful way, without the need to dominate. In a relationship, our time should be spent supporting each others’ goals and dreams, and discussing the magical Synchronicities that are guiding the way. 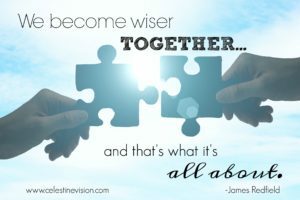 We become wiser together… and that’s what it’s all about.